Father of Fort Hood gunman says son "was not like that"
SAN JUAN, Puerto Rico -- The father of Ivan Lopez says he's struggling to comprehend how his son could have opened fire on fellow soldiers at Fort Hood in Texas. In a statement from his native Puerto Rico, the elder Ivan Lopez calls for prayers for the three people killed and 16 wounded in the attack. His brief statement Friday was his first since the shooting at the Army base where his son was stationed. "This situation is very painful. I ask for prayers for all of the affected families, even while an investigation is ongoing. My son could not have been in his right mind, he was not like that," the elder Lopez said in the statement. The motive remains unknown. Officials have said Lopez was being treated for depression and anxiety and was involved in a verbal dispute just before the shooting. The father recalled Lopez as a peaceful man and hard worker but apparently struggling with the recent deaths of his mother and grandfather and the stress of transferring to a new base. Investigators have said unstable mental health may be a "fundamental, underlying cause" of Lopez's shooting rampage, though an argument with another service member likely preceded the attack. Lopez turned his gun on himself after killing three people and wounding 16 others Wednesday at the sprawling Texas military base, where more than a dozen people were fatally shot by a soldier in 2009. An Army truck driver from Puerto Rico, Lopez was undergoing treatment for depression and anxiety while being evaluated for post-traumatic stress disorder, base officials said. Lt. Gen. Mark Milley, senior officer at the nation's largest Army base, said there was a "strong indication" that Lopez was involved in a verbal altercation shortly before the shooting, though it doesn't appear he targeted specific soldiers during the attack. Investigators also are focusing on his mental health. "We have very strong evidence that he had a medical history that indicates unstable psychiatric or psychological condition," Milley said. "We believe that to be a fundamental, underlying cause." Lopez had reported to medical personnel that he had suffered a traumatic brain injury. The 34-year-old served four months in Iraq but saw no combat, and he previously had demonstrated no apparent risk of violence. "We're not making any assumptions by that. We're going to keep an open mind and an open investigation," Army Secretary John McHugh said Thursday in Washington, explaining that "possible extremist involvement is still being looked at very, very carefully." Three people who were critically injured in the attack improved to fair condition Friday at Scott & White Memorial Hospital in Temple. A fourth victim was expected to be released later in the day. At the military's request, the hospital said, it would not make the wounded or their families available for media interviews. Investigators searched Lopez's home on Thursday and questioned his wife, who declined to comment in Spanish when reached by phone by The Associated Press. Lopez walked into a base building around 4 p.m. Wednesday and began firing a .45-caliber semi-automatic pistol. He then got into a vehicle and continued shooting before entering another building on the Army post. He eventually was confronted by military police in a parking lot, Milley said. The base's commander praised the actions of the female police officer but declined to release her name. Milley also said authorities were first alerted to the rampage when two soldiers who had been shot managed to dial 911, and that a base chaplain shielded soldiers with his own body before smashing window glass to allow them to flee the area. Lopez bought the weapon he used in the attack at Guns Galore in Killeen - the same store, just off the base, where Army psychiatrist Nidal Hasan purchased an FN 5-7 tactical pistol that he used it to kill 13 people and wound more than 30 others in a November 2009 shooting on the base. After that assault, which marked the deadliest attack on a domestic military installation in U.S. history, the military tightened base security nationwide. Glidden Lopez Torres, who said he was a friend speaking for the family, said Lopez's mother died of a heart attack in November. Lopez joined the island's National Guard in 1999, and he served on a yearlong peacekeeping mission in Egypt's Sinai Peninsula in the mid-2000s. 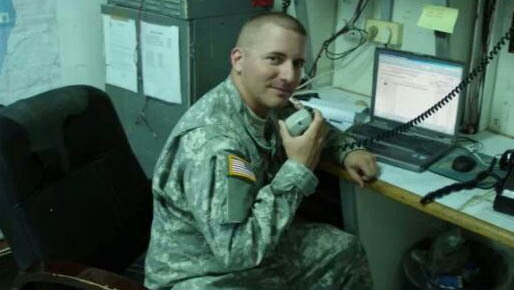 He enlisted with the Army in 2008, and arrived at Fort Hood in February from Fort Bliss, a Texas post near the Mexico border. He saw a psychiatrist last month and showed no "sign of any likely violence either to himself or others," McHugh said.